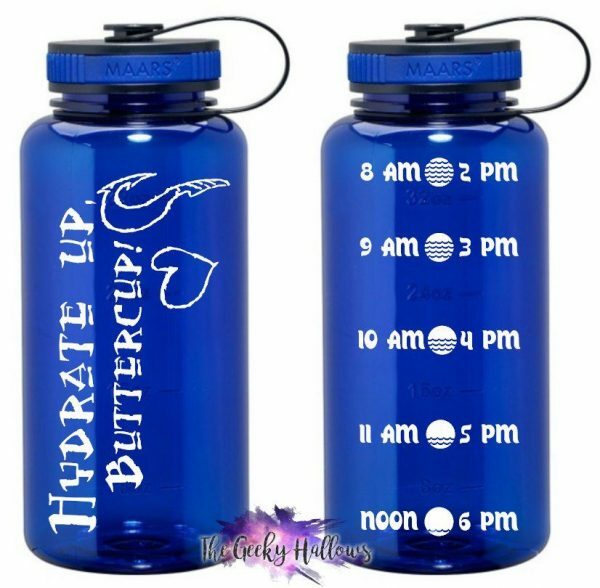 ♥ 34oz Color Plastic Water bottle. ♥ 100% BPA free copolyester. 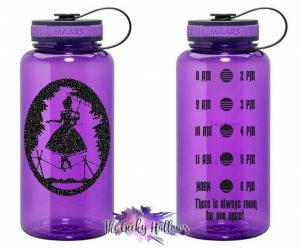 ♥ The black plastic twist-on cap is attached to the bottle via a tethered strap. ♥ Raised ounce markings are present on the body exterior. 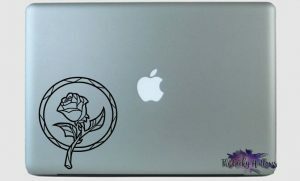 ♥Decal is made from Oracal 651 which is made to last 6-7 years out door. This vinyl is not advised to be put on indoor items as it may pull the paint off. ♥All orders are filled and shipped within 7-14 days of receipt if not sooner. Please note that availability of colors may alter this and you will be notified. ♥PLEASE NOTE: All items are created by hand, so no two items are identical. That’s the beauty of the product! Where as I do my best to make each product resemble the photos, please allow for slight variances from what is shown in the photos. ♥♥Follow us on Instagram @TheGeekyHallows and please “like” our facebook page at www.facebook.com/thegeekyhallows for sneak peeks of the newest designs and we may even share exclusive discounts on either accounts.